Swimia.com wants your feedback on Aquagym in Illinois to ensure all the information and facts about swimming in Illinois is valid. Do you know of any Pools in Illinois that needs to be listed here? Contact us!. Going to a Illinois Pool is increasing particularly within the elderly population sectors of Illinois, who have suffered some form of muscle or bone damage. Thanks to some new pools submitted by swimmers like you, Swimia.com is increasing in the day-to-day number of stored pools. Please don't hesitate to contact us if you locate any Illinois Pool with inaccurate or incomplete data. 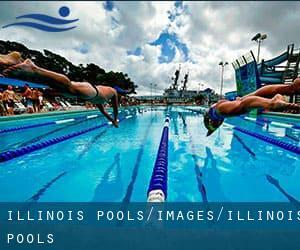 Please contact the sports center in Illinois to check which activities are being supplied and their timetables, considering that Illinois Pools may have distinct rules and fares than other places. Most of the Illinois Pools supply both open lanes for independent swimming and also guided activities like water aerobics or Aquabike. If you're tired of possessing eyes and irritated skin, obtaining a saltwater pool in Illinois might be the solution. You might want to know that the level of salt from these pools is well below the level of salt from sea water, specifically they are talking about a tenth or less. One of the advantages of outdoor swimming in Illinois would be the possibility to sunbathe in the course of the summer season. Taking it with added care, sunbathing is healthy considering that introduces Vitamin D into the body, so the best alternative seems to be switching among indoor and outdoor pools depending on the season. Enjoy the best indoor pools in Illinois and don't worry about the weather. These facilities are open all seasons and you can enjoy a swim at the same temperature every day of the year. There are several causes why you'll want to choose a heated swimming pool in Illinois. One of the most crucial one relies on the importance of keeping the body temperature stable. If the water is too cold, your body will try to warm it up and you will lose strength to swim effectively. There are several alternative treatment options to chlorination, with terrific advantages that guarantee far better water quality in the pool. One possibility would be the mineralizer, which purifies water naturally and significantly decreases the chemical substances used and maintenance time. Try Chlorine Free pools in Illinois. Swimming is actually a excellent thought to keep your body active during your visit to Rockford (Illinois), or even should you be a local. Swimia helps you to find your closest Swimming Pool in Rockford. Let us tell you a secret to switch off although you are in Chicago: just choose a Swimming Pool in Chicago and plunge into the water! There's no far more successful method. It's difficult to visit Illinois with no dropping by Aurora (with 197.899 residents). Currently Swimia is showing you all the Swimming Pool in Aurora as well as the closest pools located in its vicinity. Holding an estimated population of 147.433, Joliet is one of the most important cities in Illinois. Check all of the Swimming Pool in Joliet and its surrounding area. Updated on 2019 200 Congress Parkway , Crystal Lake , IL , USA (Postal Code: 60014). This sports center gives 25 yards, 6 lanes, Indoors. Contact data for this Swimming Pool such as phone number and email address are number. Updated on 2019 1 Town Center Drive , Maryville , IL , USA (Postal Code: 62062). Among all the activities supplied by the center, if you are considering swimming you may get pleasure from 25 yards, Indoors. Just in case you want to make contact with this Swimming Pool before dropping by, we only know the phone number. Updated on 2019 265 Army Trail Rd. , Glendale Heights , IL , USA (Postal Code: 60139). Swimmers like you reported 20 yards, Indoors. Unfortunately we do not have the email address of this Swimming Pool, but we can give you the phone number. Updated on 2019 304 S. 5th St. , Oregon , IL , USA (Postal Code: 61061). Among all the activities offered by the center, in case you are interested in swimming you are going to get pleasure from 25 meters, 6 lanes, Indoors. Just in case you need to contact this Swimming Pool prior to dropping by, we only know the phone number. Updated on 2019 3945 N. Springfield , Irving Park , Chicago , IL , USA (Postal Code: 60618). This sports center offers 20 yards x 25 feet, 5 lanes, Indoors. For this Swimming Pool, only phone number is number here. Updated on 2019 3940 S. Harlem Ave. , Lyons , IL , USA (Postal Code: 60534). Among all the activities offered by the center, should you be interested in swimming you will enjoy 25 meters, 4 lanes, Indoors. Just in case you need to contact this Swimming Pool before dropping by, we only know the phone number. Updated on 2019 665 Barrington Avenue , Carpentersville , IL , USA (Postal Code: 60110). Among all the activities supplied by the center, when you are considering swimming you may take pleasure in 25 meters, 8 lanes, 5 feet depth, Indoors. If you need to make contact with this Swimming Pool, email address and phone number are both number. Updated on 2019 1324 W. Carl Sandburg Dr. , Galesburg , IL , USA (Postal Code: 61401). Among all the activities supplied by the center, should you be interested in swimming you are going to take pleasure in 25 yards, Indoors. Just in case you desire to contact this Swimming Pool before dropping by, we only know the phone number. Updated on 2019 238 N. Randall Road , Saint Charles , IL , USA (Postal Code: 60174). Among all the activities offered by the center, for anybody who is interested in swimming you will get pleasure from 25 meters, 4 lanes, Indoors. Just in case you desire to contact this Swimming Pool before dropping by, we only know the phone number. Updated on 2019 9210 N. Milwaukee Ave. , Niles , IL , USA (Postal Code: 60714). This sports center offers 25 meters, 4 lanes, Indoors. For this Swimming Pool, only phone number is number here.